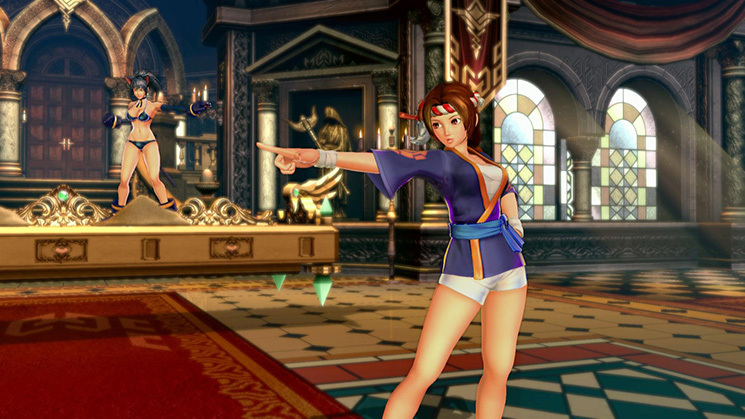 Did you know that SNK HEROINES ~Tag Team Frenzy~ was originally going to be a PS4 exclusive? Wondering how that changed over to the game coming to Switch? NIS America CEO Takuro Yamashita sat down with MCV to discuss the matter. Originally we signed with SNK on SNK Heroines just on the PS4 format. Then last year an opportunity happened at gamescom, two third parties happened to meet together outside Nintendo’s meeting room. The first meeting was between NIS America and Nintendo of Europe (NOE), and the next meeting was between SNK and NOE. Of course, these two were separate meetings. Then after their meeting influential people from SNK came to our booth and said “Hey Mr. Yamashita, is it possible to cancel our contract on PS4? Nintendo wants to work on this title on an exclusive basis! So these third parties came together and the team at NIS and SNK decided to go with Nintendo for the western market. Physical-copy-wise, it’s going to be a Nintendo Switch exclusive. PS4-wise, it’s going to be just digital. That’s the deal. We will not release a packaged version for PlayStation 4 format. Then Nintendo will act as a distributor for this game. Then they promised to buy a lot of units. I can’t reveal the number of units they’ve guaranteed, that’s secret talk.